Here we have a range of custom made IP44 commando cables ranging from 16amp to 32amp, 110 volt to 240 volt as standard. We custom make these here in the UK, these are made normally within 1-3 working days. 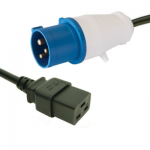 We can custom make a lot of variations of commando plugs and sockets, fancy a commando IP44 to a UK plug or socket? No problem, Units being shipped abroad? 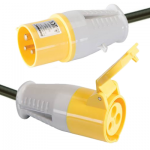 No problem we can put the reliant mains plugs or sockets on the other end. Please Get In Touch if you need any more information or have a look in our International Voltages page in our Technical Library. 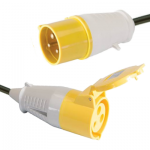 Remember we’re able to Custom Make almost any type of lead, including just about every type of mains cables, sadly there’s a few we’re unable to make but not many! 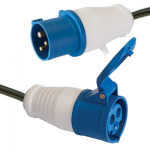 If you’re looking for a longer cable, shorter cable or want a different IEC or other connector then please Get In Touch for a quote using our Custom Lead quotation form.